The history of Tenuta del Priore and of the winery Col del Mondo is closely intertwined with feelings. The never dormant yearning for the embrace to the native land, the love for pristine nature, the hills of Pescara that gently sloping down from the rows of vines to the distant urban civilization traced the dimension of the passion for those grapes that seemed to evoke a call. A history marked by the beat of three hearts, by an intimate drive to gain back a life where it had begun, in the countryside of Collecorvino, in the Contrada that was meant to become the final location. It was then, after long discussing and planning, thinking and pondering, that the Mazzocchetti cousins – Vincenzo and his brother Giulio with their cousin Antonio – decided the great return. The choice was not easy. Leaving the prosperous activities in Rome in the productive building industry, but the identity etched in their hearts could no longer wait. 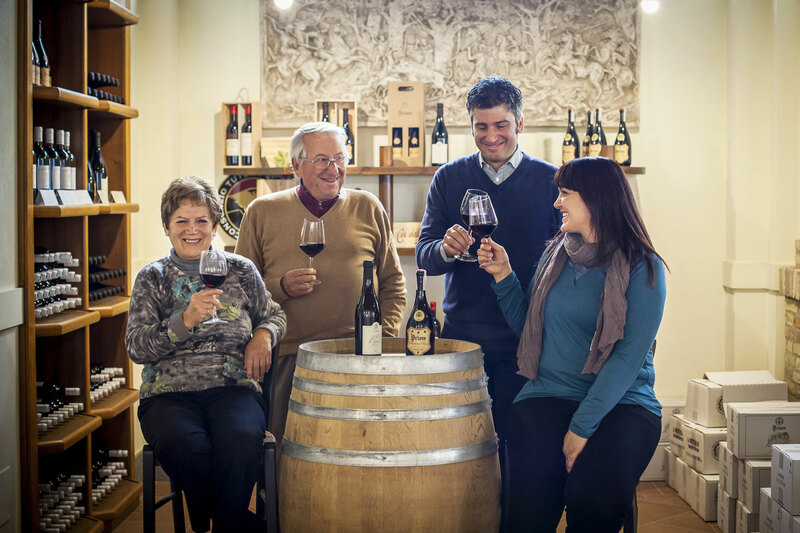 It was 1973 when the Mazzocchetti cousins created Tenuta del Priore, named after nonno Vincenzo, their grandfather, who locals used to call “the Prior” with a sense of religious respect. The three young men believed with deep faith in the production potential of Pescara hills, in the goodness of those grapes that grew and ripened with the blessing of a lush nature. The market demanded quality. And recalling the Prior meant combining territory and nature in a company that galvanized. A golden age for Vincenzo, who bore the name of his grandfather, for his brother Giulio and his cousin Antonio. They soon bet on the Roman market, flourishing and always curious to try new flavors, with the advantage of their work experience in the Capital, of having created an infinite network of relationships, of presenting themselves as ambassadors of an excellent product of the land in a city that so many fellow countrymen from Abruzzo have chosen as their perennial residence. The company worked on the cultivation of vineyards for more than thirty hectares and even exported abroad. 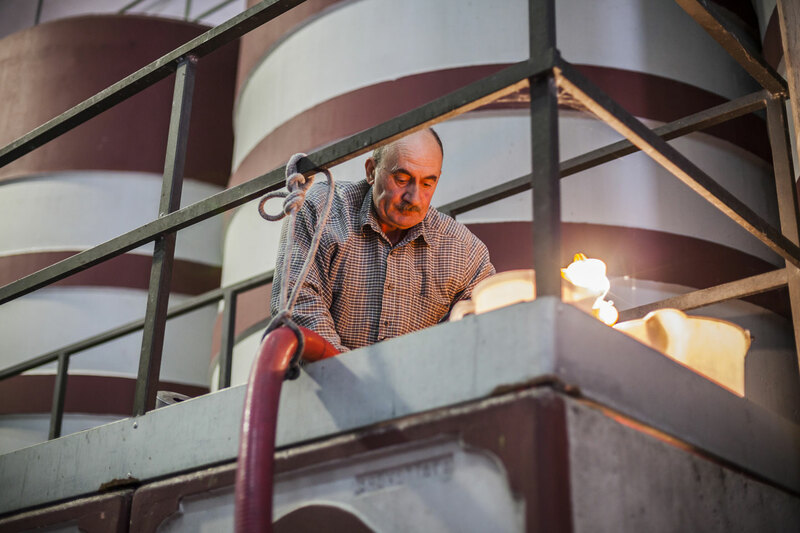 In Illinois, in that America embodying the dream of wealth, Giulio, who lived and worked in Chicago, started a distribution company for those such delighting red and white wines. Those were the years when the Montepulciano DOC began to establish itself, as if the wine from Abruzzo, that until then had been given little recognition even on the shelves of regional retailers, had finally made its debut on the international stage. A trivial, “blending” wine, the Montepulciano indeed did justice to the numerous clichés, gave impetus to the increasingly refined bottles and in this pursuit of quality the Tenuta was among the frontrunners. The mid-80s see a sharp slowdown. For everyone. The scandal caused by the use of methanol breaks, in a country that produces more wine than it consumes the tragedy of food adulteration bursts. Chemistry tarnishes the pure image of wine rows. Economic and organizational difficulties are faced in every company, sales drops, stumbles in the fabric of society. Tensions insinuate between the partners, misunderstandings lead to conflicts on the objectives to be pursued in order to overcome the crisis. Balance sheets suffer and in the 90s Vincenzo and Antonio halt the negative spiral by taking over Giulio’s share. They design a relaunch plan, and bet on a new market: bulk wine in tanks. A bet which linked the fate of the cousins to high demands for quality wines at affordable prices. But that is not enough. The path of the search for a different quality and for economic growth is traced. It is 2003 when a young graduate in Oenology makes his way with theoretical competencies and the experience gained in the family, just as the grapes that give birth to the red and white “Fattore”, to the “Vecchio Priore” and to the number of young and thrusting wines as the Kerrias Montepulciano and the Pecorino. He is Fabrizio Mazzocchetti, son of one of the founders, Antonio. He has the ambition of those who show to have clear ideas, and joins the company with the aim of transforming the production by giving a massive focus on quality and by enhancing the autochthonous grape varieties from Abruzzo. Two years earlier, the arrival of Fabrizio had been decisive for the creation of the subsidiary company of the Tenuta, “Col del Mondo”, which put the over 30 years of experience acquired by the Prior, marked by notable successes and by the capacity to overcome the crisis with a relaunch, into focus. It is the right time to point to new cultivation methods. The old, beloved canopies, that witness the passion for wine and the hard daily work, are grubbed and replaced by “espaliers”, guaranteeing a different yield capacity and higher quality levels. The young company led by Fabrizio soon finds recognition. Young wines, matured from the grapes grown among white stones supported by silts and clays, trained by the spurred cordon and Guyot, cultivated on the hills at 250-300 meters above sea levels. Wines that are increasingly appreciated, suitable to the table as well as to libations in meditation, to be enjoyed in solitude or with friends. The Kerrias combines with the Cerasuolo that caresses the palate, and with the delicious white from the Sunnae line. Cultivation techniques constantly improve. The study of an increasing production with excellent quality-price ratios for the benefit of the market is also applied to new lines of the Tenuta, the “Glorioso Priore”. The trade of bottles expands, and the customers, it is indeed the case to say, are thirsty for these bottles. Since 2008 the company has been entrusted to Fabrizio, with a careful, farsighted management, also thanks to the valuable contribution of his wife Giovanna, sweet yet decisive, a factotum who takes care of every detail of the administration, which is so crucial for every company. 2017 is the year of the handover, when the old generation gives way to the new. 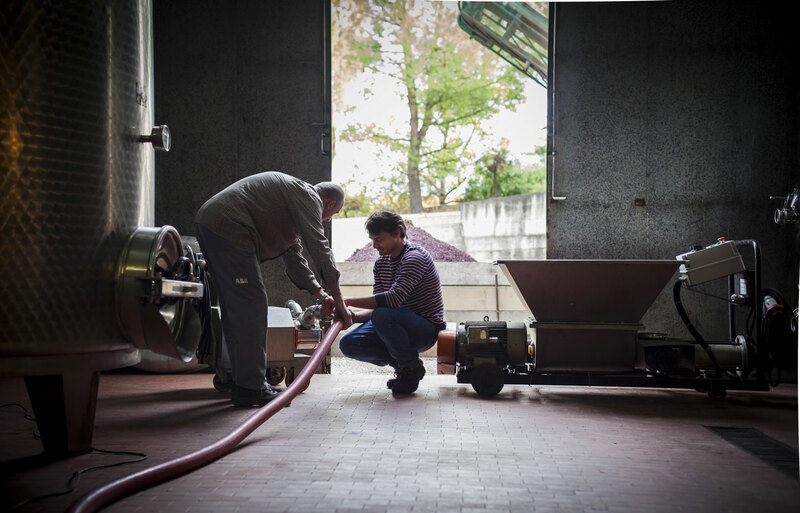 The company that incorporates the Tenuta del Priore and Col del Mondo is led by Fabrizio with Antonio and Stefano Mazzocchetti, a close-knit family that sums up the business, which in 2018 merges the brands in view of new horizons, looking to grow still further, with care and quality. Under the motto ad maiora.